Don’t commit phone etiquette mistakes. 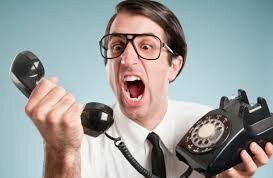 Have you ever received a call that left a bad taste in your mouth? Or left you confused or annoyed? Don’t be that person. Follow these phone etiquette tips to stay professional, polite and knowledgeable, and remind fellow employees to do the same. Self-storage is a customer service industry. The level of customer service you provide distinguishes you from the facility down the street. 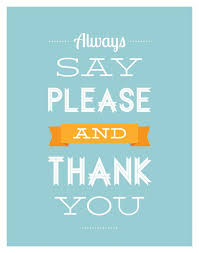 Always say “please” and “thank you.” These words go a long way. Instead of saying “Is Michael there?” add “Is Michael there please?” Be friendly, helpful, courteous and polite. Depending on the level of formality at your facility, you might even want to consider saying Mr. Brown, addressing the tenant by their proper title. This also means use proper language. Do not use swear words, slang or “ya”. Say “yes” and “no” when speaking. Do not eat or drink while you are making phone calls. Take out the gum, put down the Diet Coke and speak clearly. There is nothing more frustrating than talking to someone who is difficult to understand. If you ring through to voice mail, do not hang up, leave a voice mail. When you need to leave a message, make sure to leave your name, who you are calling with, phone number, date and the reason for calling. Do not leave a reservation number or any other personal information in the message. Storage is a need. Self-storage customers are often in times of transition and may or may not be leaving a bad situation. If you aren’t sure their situation or whose number it is you are calling, always err on the side of caution. We handle things a little differently if the customer has advised us that they are leaving a bad situation, which many of them who are in that situation do. If they are concerned about giving their real phone number, we encourage them to give a friend or family member’s number that we can call to relay information. If they don’t have one we can put in a fake phone number. 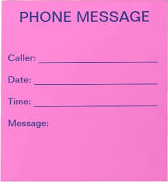 If we add their real phone number to the reservation info we will most likely do it in the notes section, then we will also make sure that we put a note in the reservation with a thorough explanation of what is going on so that no one else calls them on accident. What info we will leave will depend on what the customer has asked for. Sometimes we will not call them at all, other times we will ask for certain info that they gave us to make sure that we are talking to the customer. Chalet Fuery, Contact Center Manager. 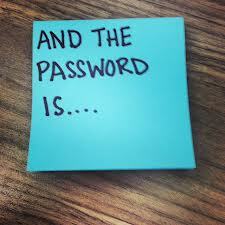 Set up a code word or password for customers that need extra discretion. If you have a customer who is in a bad situation or has alerted you that they require extra security, set up a code word or password with the customer so that when you call you know you are speaking with the tenant. “From my experience when there is a bad situation it is best for the storage location to just err on the side of caution and not leave a message, but to document the call in the notes of the account in case they need a record of attempts at reaching the tenant,” Chalet Fuery said. Whether calling late customers, to confirm reservations, or return a voice mail, it is important to always follow these guidelines. Remember to stay focused on the call, be patient, professional and polite. Represent your facility well and put your best “voice” forward when calling customers. It’s easy to get frustrated, distracted or too comfortable, so always keep these guidelines in the back of your mind. Have any questions or tips on proper phone etiquette? Let us know below!